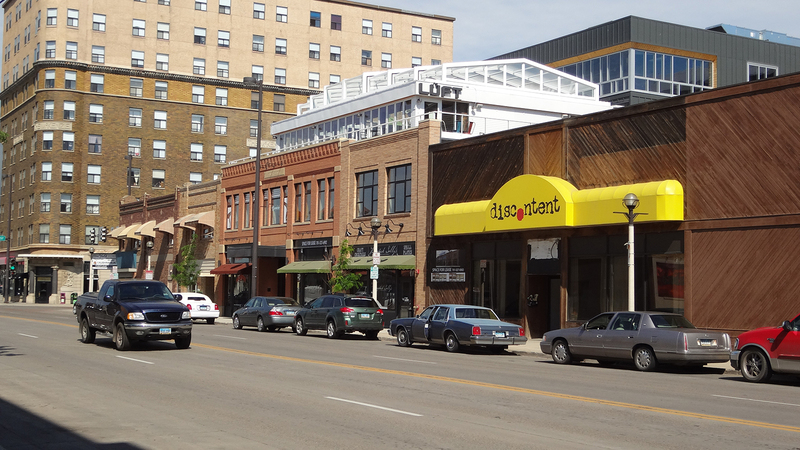 Main Avenue in downtown Bismarck, July 2014. Featured are Humpback Sally’s, LUFT Bar, and Discontent. Patterson Hotel is in the background.